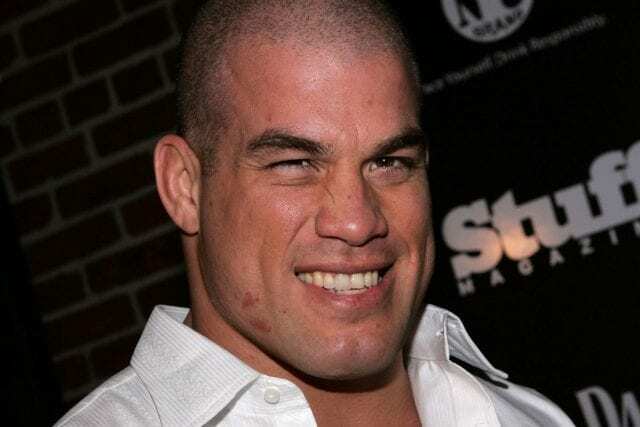 Tito Ortiz has always been one step ahead of the game when it comes to business. Even at 44 years old, “The Huntington Beach Bad Boy” knows the right moves. Ortiz didn’t waste much time. 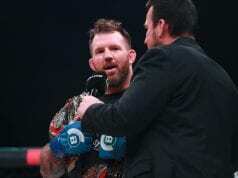 Shortly after Ryan Bader defeated Fedor Emelianenko last Saturday (Jan. 26, 2019) night to become the promotion’s first ever “double-champ”, Ortiz took to social media to lay out his plans for 2019. Of course, Bader will have a say in who he fights next. And if his comments to reporters backstage after his victory at Bellator 214 are any indication, he is more than open to a fight with Ortiz. Provided Ortiz “proves himself” in the cage. Ortiz might not be the most attractive opponent for Bader but it’s not surprising that the sports newest “double-champ” would like the chance to avenge a previous loss. That, after all, is an opportunity not too often received. “We have not had those conversations,” Coker said. “George, his manager, has reached out and we said, ‘Yeah, let’s talk after this fight is over.’ But we’ll see – fighting Chael, he’s already done that. And to me, like, why would you want to rehash that? Let us know what you think. Should Bellator re-sign Ortiz with the hopes of him challenging for the light heavyweight title sometime in 2019? Or should Bellator look for more suitable challengers?